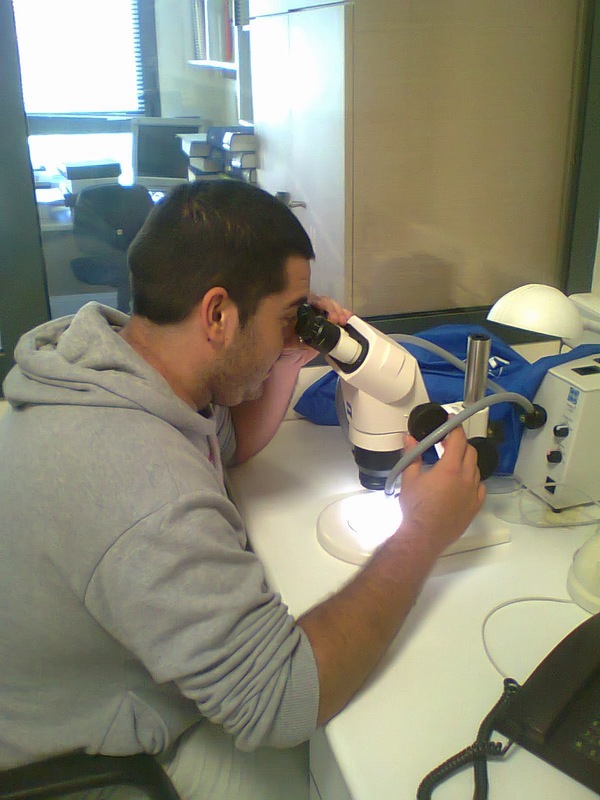 In 2012, in my third year of undergraduate studies at the Department of Geography, I selected the Laboratory of Biogeography & Ecology for my internship, which was about the impact of fire on pollinators in a burnt area in Northern Greece. I eventually became very interested in the subject, so I delved into it during my diploma thesis that investigated the impacts of different fire intensities on the pollinating fauna of the National Park of Dadia – Lefkimi – Soufli Forest, NE Greece. Currently, and while anticipating my graduation ceremony, I am working for the POL-AEGIS research project as fieldwork assistant and insect specimen handler. My scientific interests also include marine biology and the human impact on fisheries. I spend my spare time on handball and outdoor activities such as spearfishing and hiking.